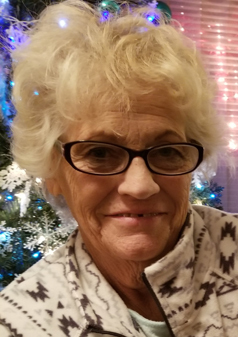 Sharon (Palmer) McKeever, age 72 of Duluth, MN passed away September 4, 2018 at her daughter’s home in Wadena, Minnesota. She was a loving wife, mother, and grandmother. Sharon was employed and later retired from St. Luke’s Hospital in Duluth, Minnesota. Sharon had a creative spirit and enjoyed making many different crafts. She had a special love for her four-legged kids and had many over the years. Sharon is preceded in death by her husband, Mark McKeever on September 27, 2017; infant daughter, Anita Jo; parents: George and Flora Palmer; 2 sisters: Loretta Olson and Alice Tobeleski. Survived by her three children: Nikki (Frank); Bobbi (Brandon); Troy (Laura); 6 grandchildren; 6 great- grandchildren; sister, Sandra (Charlie) Williamson; brothers: Geo Jr (Carol) Palmer; Roger Palmer; plus many nieces & nephews. A memorial gathering will be held for Sharon & Mark McKeever on Thursday, September 13th from 11 a.m.- 1p.m. at Apostolic Church in Esko, Minnesota. The family requests no flowers be sent. If any contributions please send to Bobbi Standiford, 825 7th Street SW, Wadena, MN 56482 or to the Kidney Foundation. The family wishes to thank the many individuals from Knute Nelson Hospice for their assistance with the great care of their Mom during the last 2 months.